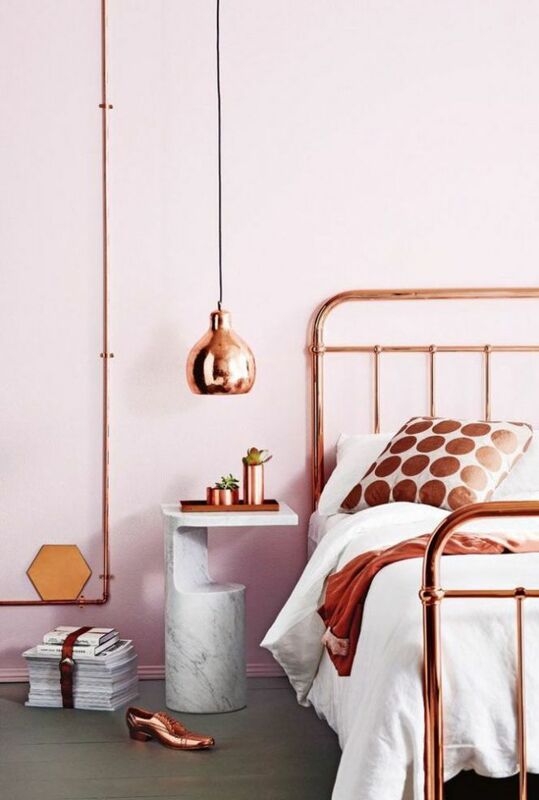 The beautiful rosy hues of copper have been adorning interiors, furniture and accessories for a couple of years now. But this year, it seems to be making way for gold again. I have to admit that it does take me somewhat by surprise, since gold was the go-to-metal before copper became all the rage in 2013. It made we wonder what poor old Copper did wrong, that it so triumphantly rose to fame just to be overtaken by Mr Gold again. Maybe it’s less of a gold and copper thing and more of a there-aren’t-enough-warm-coloured-metals-thing. The world has become quite unstable and people are yearning for comfort and tranquility, thus the warmer metal tones seem to be playing popularity ping pong. We are not quite ready for clinical and cool steel and chrome just yet, but who knows, maybe next year! Delicate gold lines against a dark background work exceptionally well to create this very slick and contemporary room. 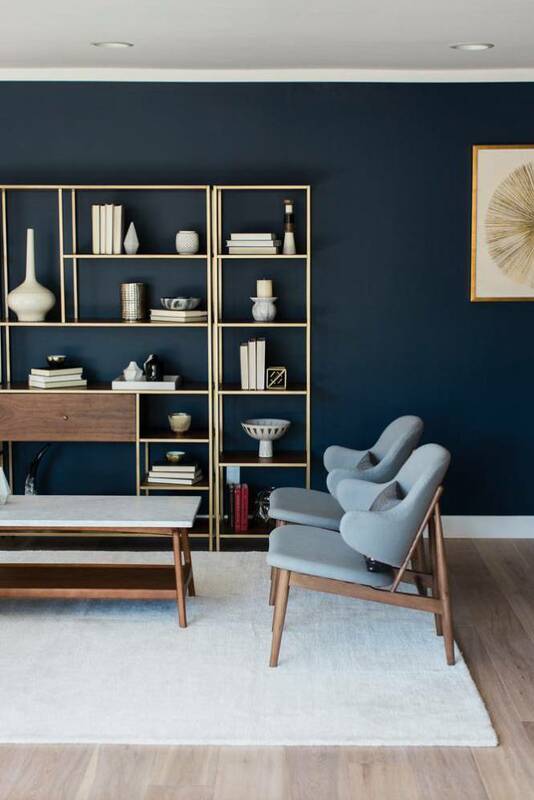 The shelving takes center stage and is complemented by the golden framed print on the right. 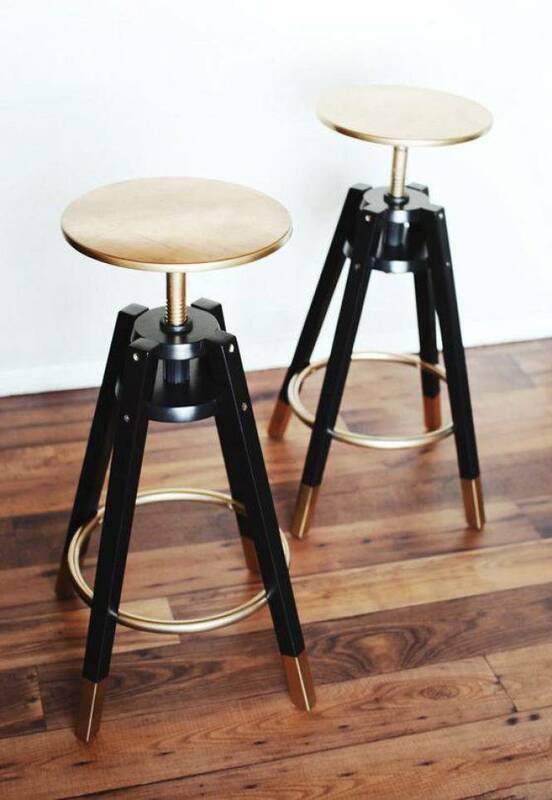 Sprucing up a simple chair with some gold touches is the perfect DIY solution to have some coveted goldness in your home this year! 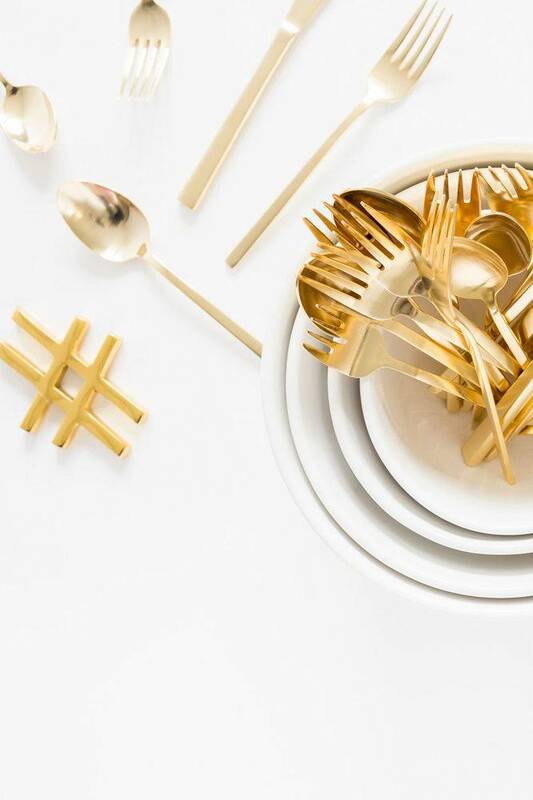 Who wouldn’t want to sit at this stunning table? 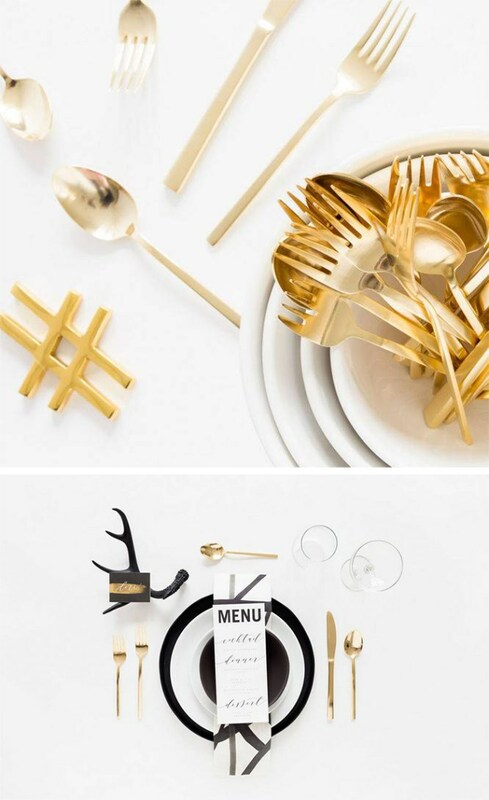 The gold accent with the black and white is totally classic and at the same time, completely on trend. If hard metal is not your thing, opt for the trend in soft furnishings and upholstery. This stunning old gold velvet wing back makes a beautiful and trendy focal piece. 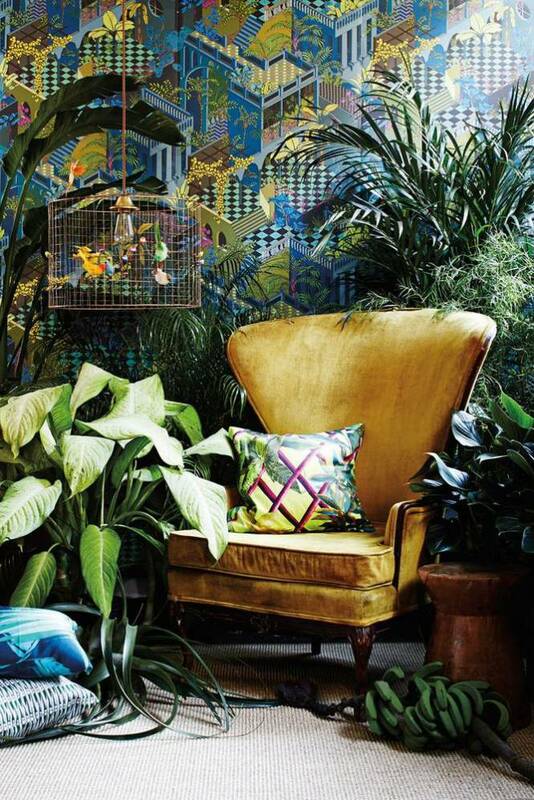 Combine it with a gold-leaf embellished pattern wallpaper for added effect! Copper’s warm, pinkish tones are perfect with warm and dark colours. 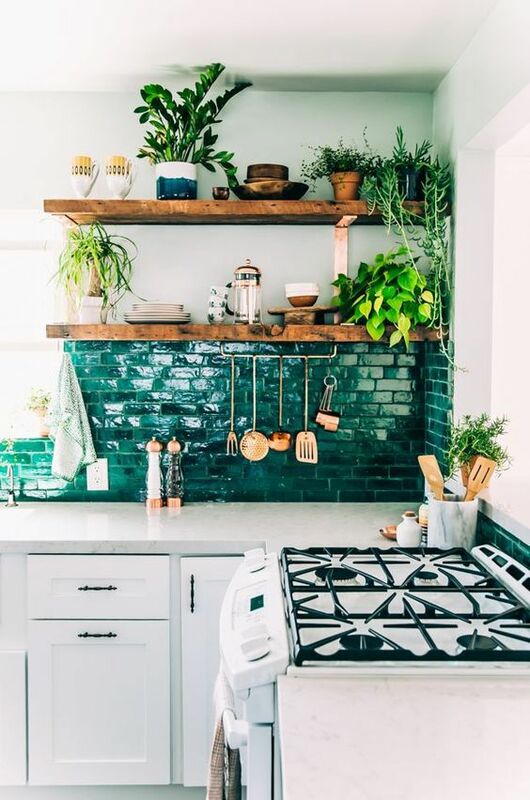 Here are some inspiring ideas of using it around the house. Subtle copper accents on a side table are sometimes all that’s needed to pull a look together. 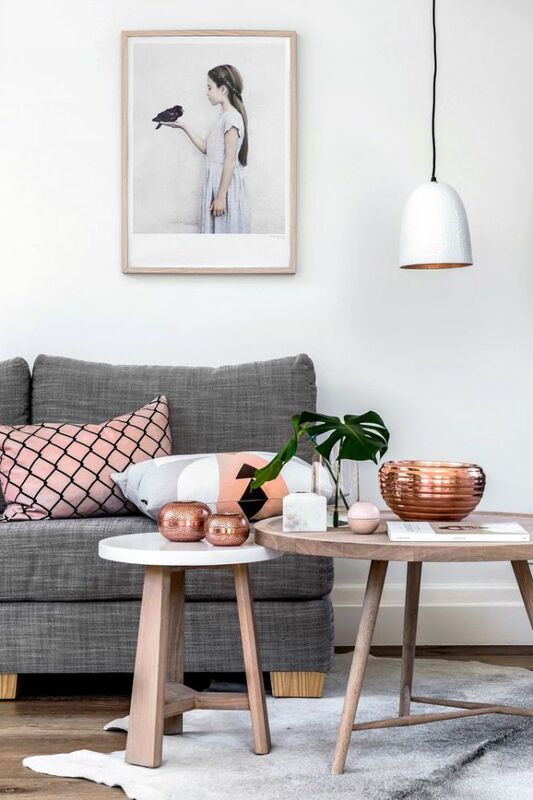 Combined with soft greys, natural wood and touches of Rose Quartz to bring out the soft undertones of the metal, it creates the perfect picture. Note also the reflective interior of the lampshade – this will create a beautiful soft glow in the room when switched on! With copper, you can get away with a little more. Having all the metal finishes, the accents and even the services in copper doesn’t seem to be overpowering the way it would have been with gold. So the warmer undertone seems to be more forgiving than it’s yellowish friend! In complete contrast to its rosy tones, copper works magic with teal and other dark colours as well. Use copper accessories with larger blocks of teal, natural wood and marble for a classic contemporary look.